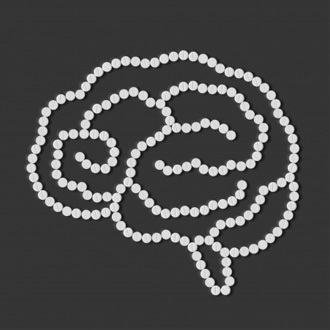 Do Nootropics Really Work? What Does it Really Feel Like to Use Brain Pills? I am able to speak with authority on this subject because I have dabbled with nootropics myself. The first time I did was at University in my final year. I was fascinated with the idea of Transhumanism at the time and so nootropics was a natural thing for me to research. Then when I found that I was unlucky enough to have all of my 10 exams scheduled consecutively over just five days, I thought I had the perfect opportunity to test what I had learned. On this occasion I didn’t use anything heavy, but rather created a little cocktail made up of a scented herb that apparently rejuvenated you, nicotine gum, caffeine tablets and a secondary guarana (a slightly different form of caffeine). Unfortunately my sleep become so out of whack that I ended up becoming almost reliant on caffeine tablets just to stay awake during the day. This ultimately led to the most painful headache that kept me awake for hours before a day of three exams. Of course all those stimulants didn’t exactly help with nerves either. Did it help me to concentrate on revision? Maybe. And I did get a perfectly passable 2:1 overall, but it was still a bad idea and not something I would do again. At first I was very impressed. The effects aren’t extremely noticeable, no nootropic is going to make you go ‘wow’ when it hits. This is one of the fastest acting examples and one of the most dramatic, and yet it’s still a very subtle effect that you’ll only notice if you look for it. But still, what you do find is that your sense marginally improve (LEDs and car headlights will now blind you), and that you gain a kind of ‘tunnel vision’ that makes you focus intensely on whatever you’re looking at. I mean this stuff is serious – if you start thinking about something when somebody is talking to you you can end up so engrossed that you walk off before they’re finished. You can find yourself sitting and just staring for hours while your brain whirs away. Time passes more slowly, but also less noticeably (it’s very easy to miss appointments) and you find that emotion gets in the way of what you want to do less. Rather than putting off making calls because you have so many to make and you’re stressed you’ll find you instead just get up and start doing those things. In this regard it really is like the film Limitless as you find yourself working through your to-do list, making calls and tidying your home. I even found myself remembering things I was meant to do ages ago, and doing thoughtful things like calling friends to let them know their favourite program is on. The best part of the experience though for me is the ideas. It seems that my brain is just better at making connections when I’m using Modafinil and as such I’m able to come up with solutions to problems, ideas for businesses and more. I was building an app for a client a few months ago when they requested a feature that I couldn’t deliver. I told them that it would be impossible, but then when I tried to use some Modafinil (to pull an all-nighter) I was then able to get it done. For starters, it’s interesting to note that different people seem to have rather different experiences. Reading online about how people have reacted to the drug this becomes immediately obvious. Although the core elements are consistent, one area where people note differences in particular for example is in your ability to speak and socialise. Some people said that they lose interest in other people, and find that they stutter when they try to talk because their brain is working faster than their mind can keep up. On the other hand though others, myself included, found that they became more eloquent and quick-witted. And the side effects varied from person to person too. In small doses I find that I don’t experience many side effects, but if I use the pill two days in a row I always get a tiny ulcer on the end of my tongue in the exact same place (odd I know!). My mouth is incredibly dry when I’m on it, to the point where I drink huge amounts of water (which can actually be quite dangerous) and this then leads to my going to the toilet a lot. If I have more than one Modafinil then I notice something much scarier: my left eye becomes very bloodshot. It’s not a good look and it serves as a reminder that when the brain is concerned there’s no such thing as a ‘free lunch’. Other problems are more indirect. For instance although I have more focus for work, I somehow seem to have less energy for working out. When I’ve been using Modafinil I find that I wear out in the gym quicker, and thus I don’t train as well (working out by the way will provide the very best brain boost). I also seem to be more likely to forget to eat… which isn’t great. Then there’s the slight concern that I find myself thinking of Modafinil when I have a tough day coming up. The substance isn’t supposed to be chemically addictive, but when you know that super-concentration and brilliant ideas are just a tablet away it can be pretty hard to say no. Better not to start in the first place? The most serious issue of all though is that when you mix Modafinil with alcohol, it can then become an amphetamine (like speed) and actually be highly dangerous. And this is the only explanation I can think of for a scary event I experienced recently when I had a blackout in the middle of my friend’s house. We’d just been to a festival and I’d had a few cans of beer, but then in the night when sleeping on his floor I woke up feeling terrible and ran for the bathroom, only to wake up hours later on my face in his living room. I hadn’t used Modafinil for about three days prior, but it isn’t always completely clear how long the substance lasts for. I’m not blaming the drug, but I’m sharing the story as a cautionary tale. Messing with your brain can cause serious problems. So based on these experiences… should you use nootropics? Well of course that’s up to you. You have the information now, so it’s really your call whether you think it’s worth the potential risk. If you want my advice though, then I would say not to mess with your brain. I actually work at my most effective level when I’ve had a good meal, a good workout and a good night’s sleep. This is much healthier than messing with the chemistry of your brain and potentially causing serious short and long term effects. If you have a huge exam to swat for and you’re naturally inquisitive, then it’s unlikely to kill you and it may give you some notable benefits. But frankly, is a good score worth your mental health?